We realize that we cannot answer all of the questions that you may have about cataract surgery. However, we have compiled answers to many of the questions Monterey Park patients had in the past. We look forward to the opportunity to answer your questions concerning your operation and your eye. Dr. Linda Vu and her trained assistants are here to help you. Why can’t DR. VU just change my glasses to make me see better? Glasses focus light, they do not improve light transmission. The cataract blocks the light from getting into the eye, causing blurry vision. Currently there is no medical treatment to reverse cataracts. Once they form, the only way to have clear vision again, is to physically remove the cataract from the eye and implant a new lens. Each person’s needs are different. First, Dr. Linda Vu will measure you for the best possible glasses, and then you can decide if the vision is sufficient for your needs. Your job, hobbies, driving needs, and personality will determine how satisfied you are with your vision. If the vision is not adequate for your daily activities, it is likely that Dr. Vu will recommend you have cataract surgery. Do cataracts need to be “ripe” before they are removed? No. Years ago patients were encouraged to wait until their cataracts were fully developed (ripe or mature). At that time, surgical techniques were risky, so treatment was delayed as long as possible and patients had to live with blurry vision that made it hard to function. However, with the sophisticated equipment and advanced surgical techniques Dr. Vu uses today, the benefits of removing the cataract earlier far outweigh the risks. How long is the Cataract Surgery procedure? Is it painful? The cataract surgery procedure with implantation of an intraocular lens (IOL) takes about 20 minutes, but the entire visit to the surgical facility usually takes about 3-4 hours. During the procedure, the old lens is removed and the new lens implant is inserted through a tiny incision. There is a sensation of pressure on the eye, but little or no pain. After surgery, more eye drops are applied to prevent infection and decrease inflammation. A protective patch is usually placed over the eye. Once at home, the patient should rest and avoid any strenuous activities. Generally, the patch is removed at home and eye drops are continued to speed the recovery. Dr. Vu will examine the eye the next day. 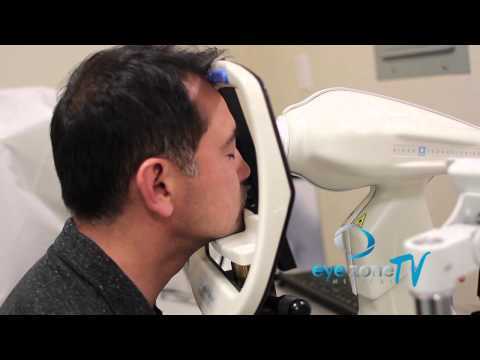 Do you use lasers to remove the cataract? No. The cataract has to be physically removed from the eye. Dr. Vu inserts an ultrasonic probe into the eye through a small incision to break up the cataract into small pieces, then “vacuums” the pieces out. No. Since the intraocular lens is not made up of human tissue, your body cannot reject it. Will the implant need to be replaced in the future? Cataract removal and lOL implantation is intended to restore your focus to normal, minimizing your dependence on glasses. Most people who choose a standard lens need some form of glasses, most commonly in order to read. If you choose an advanced technology IOL, then your need for glasses will be greatly reduced or even eliminated. What is an ADVANCED technology intraocular lens (IOL)? Unlike a standard IOL, the advanced technology IOL (intraocular lens) is a new, state of the art lens that can focus on objects near and far. This lens provides a full range of vision for most patients, significantly reducing or eliminating the need for glasses or contact lenses after surgery. The ReSTOR® and Tecnis Multifocal™ lenses have a special surface design that brings near and distant objects into focus without muscle assistance. The CrystaLens® is designed to be focused by the eye’s natural muscle. Do advanced technology IOLs provide 20/20 vision for both reading and distance? Advanced technology IOLs were created to provide a fuller range of vision, from near to distance. Nearly everyone will find their uncorrected vision significantly better after surgery, but some will not see 20/20 through the full range of vision. 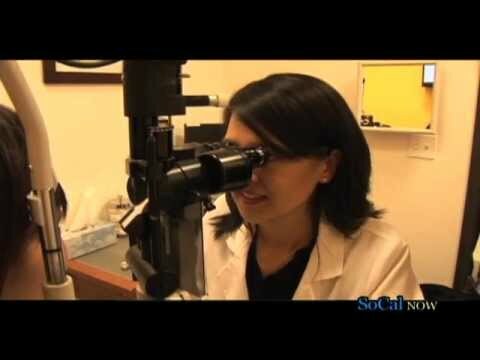 Pre-existing eye conditions may prevent full range 20/20 vision. Dr. Vu will advise you of any conditions that may affect the outcome of your individual surgery. She will evaluate your vision care needs and recommend a customized vision plan. 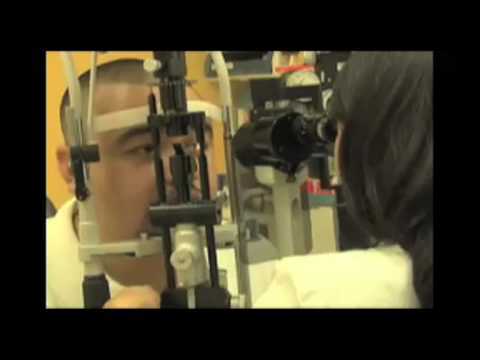 In general, 98% of patients are able to pass their driver’s license eye exam, and read newspapers and phone books. Patients are able to read a computer screen, dashboard instruments, and supermarket price stickers, and apply makeup. About 80% of patients do not use glasses or contact lenses at all after the procedure. Is advanced technology IOL implantation covered by insurance? Most private insurance covers the cataract surgical procedure and the anesthesia, but usually does not cover the cost of a new advanced technology multifocal intraocular lens. This lens costs more and is considered elective and non-standard. No. For the typical patient, most eye surgeons, including Dr. Vu, prefer to not operate on both eyes at the same time. The common process is to replace the lens that is most clouded first. The interval between surgeries depends on the healing of the first eye and the vision results; one to four weeks waiting period is typical. What is the likelihood of complications, and what might they be? The standard cataract surgical procedure is performed on more than 3 million eyes each year, and has proven to be extremely safe. However, there is a risk of complications with even the most routine surgery. Most complications, such as minor infections, inflammation, and irritation, are temporary and easily treated. Serious sight-threatening complications, such as serious infection, hemorrhaging, or retinal detachment, are extremely rare. Cataract surgery slightly increases your risk of retinal detachment. Other eye disorders, such as high myopia (nearsightedness), can further increase your risk of retinal detachment after cataract surgery. Complications are more likely in patients with diabetes and high blood pressure, and those who suffer from chronic inflammation and infections. However, if you suffer from one or more of these conditions, it is still very possible to have cataract surgery with little to no complications. About 98% of cataract surgery patients experience no complications and more than 95% achieve improved vision. As with all surgical procedures, Dr. Vu will perform a thorough examination and provide a complete evaluation at her laser eye surgery center in Los Angeles. Dr. Vu will provide you with the expected results and possible complications prior to surgery. She will help you to make sure cataract surgery is right for you. How soon does vision improve after surgery? Distance vision will usually be very good within a few days to a week after surgery. For those patients with an advanced technology IOL, the return of near vision may take longer, as it usually requires more time to adapt to the multifocality of the advanced technology IOL. For most people, there is a period of weeks when your brain is learning to see up-close and at a distance with the new lens. This adjustment period is usually complete within 10 to 12 weeks. Also, as with all multifocal lenses, some people report halos or glare around lights. For most patients, these side effects lessen over time. For some, it becomes less troublesome but never completely goes away. Most people report that the ability to see near and far outweighs any visual side effects associated with the lens. Cataract surgery is intended to correct the cloudy lens, and will not help with vision problems related to other parts of the eye, such as floaters, flashes, or visual field loss. Will cataract surgery cause glare, night driving problems, and light sensitivity? Glare, night driving problems, and light sensitivity can occur with both traditional and advanced technology lens implants. Night vision problems are usually much less severe than before cataract surgery. This side effect is usually temporary and diminishes as the brain and eyes adjust to the new lens. Light sensitivity is also usually temporary. The crystal-clear material of the advanced technology IOL nearly always permits more light to pass through than the natural cataract lens it replaces. Patients have to adjust to seeing vivid colors and brighter lights after surgery. How soon after lens implant surgery will I be able to resume normal activities? Most patients require only a few days to resume normal activities, but with some limitations. Some sensitivity to touch and bright lights should not stop most patients from driving and returning to work. For one week after surgery, patients should avoid any heavy lifting, bending over, or straining because this can increase pressure in the eye. Patients should also avoid rubbing or pushing of the eye. Careful showering is permitted the day after surgery, as long as no soap or shampoo touches the eye. Patients should not use any makeup around the eye for one week. Public swimming pools, hot tubs, and other potential sources of bacterial contamination should also be avoided for 3-4 weeks after surgery. Dr. Vu will check your eyes the day after surgery and depending on your particular case, about one week later, at four weeks, and again at about three to six months later. After that, annual eye exams are recommended, unless a specific problem develops. After the cloudy lens is removed, it does not grow back and you will not need cataract surgery in the same eye more than once. However, some patients experience subsequent clouding of the membrane, called the capsule, which holds the lens in the eye. This clouding is called an “after-cataract”. An after-cataract can develop months or years after cataract surgery. Dr. Vu may treat this using a procedure called a YAG laser capsulotomy, in which a laser beam is used to create a hole through the membrane, allowing a clear path for light. A YAG laser capsulotomy is a quick and painless procedure.